Digicel, it seems, is playing a clever shell game with their customers. Since Thursday November 19th 2015, Digicel has launched a promotion called Digicel Merry Millions Promotions. Folks, queue the Video from Digicel’s YouTube Channel! 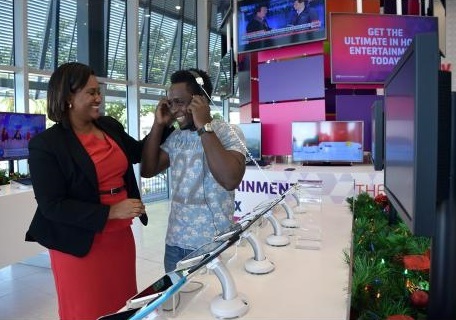 Along with spreading the Christmas cheer via more tech gadgets, they also have some surprises in store to quote Director of Distribution and Retail at Digicel, Michelle Anderson: “In addition to the cash and prizes that customers will have a chance to win this Christmas, we’re going to continue delivering on our promise to deliver best value to customers all across Jamaica, with a number of great deals on handsets and other products during the holiday season”. But what was interesting was what happened on Smile Jamaica on Friday November 20th 2015 when Digicel launched the Merry Millions Promotions. The three appeared on Smile Jamaica in a Wheel of Fortune-inspired game where they spun a Digicel ‘Merry Millions’ wheel to see if they could win any of the Digicel sponsored prizes. Eventually Chevanie Rose won a DL910 smartphone and the top cash prize with Damarley Laing won the Huawei Media Pad and free data for a year while Simone-Claire Campbell won JA$5000 cash and a DL910 smartphone. Yes folks, you read that right!! Dicicel has a new smartphone out, the DL910!!! I’m just as surprised as Donmar @GullyFaEver on Twitter, so far the only Jamaican since who on Friday November 20th 2015 at 9:12 AM noticed that Digicel had launched a new smartphone. Digicel comes out with new phone. Haven’t seen it in the flesh as yet, muchless to confirm what OEM Digicel or more detailed specs, except for this picture from the Digicel Bermuda shop. 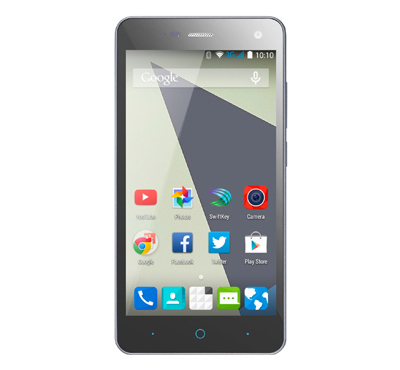 Priced at JA$10,950.00 plus GCT, it’s already on sale in Bermuda on Digicel Bermuda’s website with a free promotion being offered to for free if you buy a best value smartphone plan in that country. Clearly the DL810 and the DL1000 as mentioned during the launch of the Digicel AppSeeker as noted in Digicel launches AppSeeker on DL810 and DL1000 and MyDigicel on Apple iTunes Store might be coming soon in a launch sometime in December 2015 or even this week. These model numbers, most likely rebranded OEM (Original Equiptment Manufacturer) smartphones, are in keeping with Digicel’s strategy of a yearly upgrade to their smartphone line-up, my sources on social media have told me. They also tell me that there may possibly be deeps discounts as low as JA$1,999 for the DL800 and DL900, according to my sources as Digicel tries to out-do FLOW Jamaica. This seems to make sense, as it is the same thing they’d done with the DL700, upping to the DL800 and the DL9000 in the First week of Christmas 2014 as noted in my ditty Digicel launches DL800 aka ZTE Kis 3 Max Second after Digicel DL900 on Christmas 2014. Stay tuned to the Geezam blog, as if the DL810, DL910 and DL1000 ,which are yet to appear on Digicel’s website, are truly upgrades to these previous models, we may see some massive price drops as Digicel tries to spread some Merry Millions this Christmas.